Are you looking for a luxury Antarctica cruise for your next adventure? 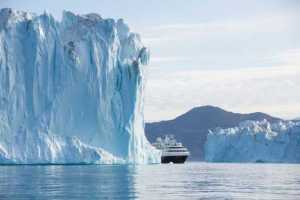 Here at Deluxe Cruises, we are the specialist cruise agents that can get you in touch with many different cruise lines that will take you to Antarctica such as Seabourn, Crystal Cruises and Silversea Cruises; all of which have special cruise ships that can navigate through the ice caps to show you the experience of a lifetime. Call us on 01202 767926 for more information or to receive a quotation on a cruise. sunlight, just begging to be viewed. Going to Antarctica is a once in a lifetime experience where you can see the odd behaviours of penguins on the ice sheets and the sights of orcas splashing through the water. Here at Deluxe Cruises, we can get you on one of these luxury Antarctica cruises before global warming takes its beauty away from us. You don’t need to worry about your safety on a cruise ship through the ice caps; cruise liners such as Silversea Cruises, Crystal Cruises and Seabourn, all have specialist ships that can navigate through the harsh seas of Antarctica whilst getting close to the sheets of ice for you to see nature at its finest. These cruise liners at Deluxe Cruises can offer you the luxury experience with included flights, fine dining, a large range of amenities and glorious suites that are worthy of awards. 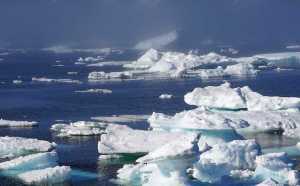 Why go on a Cruise to Antarctica? The ice caps in Antarctica are declining and before you know it, there won’t be anything left to go and visit, so you need to plan a trip quickly. Antarctica is not a place that you can visit easily to go on holiday as the weather is temperamental with it being extremely cold and there is nowhere for you to stay on land. So, how do you get to visit Antarctica? For the public, a cruise around Antarctica is the only way. As you sail through the waters, you’re kept warm on the ship as you overlook the nature on land and even all the active sea life around you. You never know, your luxury Antarctica cruise ship may even make an awesome discovery along the way. Here at Deluxe Cruises, we are a specialist cruise travel agency with a passion for luxury and niche cruises; we only have the best cruise liners in partnership with us. We are the place to go to if you’re looking for a luxury Antarctica cruise because we have a vast array of different cruise liners in addition to cruise ships for you to choose from. We have packages to suit solo travellers, couples and big families; a package for everyone to ensure they enjoy their cruising experience. Not only do we have different packages available, but we have different size ships available that all cater to certain themes with different amenities and cuisines available to ensure that there is a perfect ship with a perfect cruise destination for everyone. The great thing about Deluxe Cruises is that we are the one stop shop for all your cruising needs. You can search by cruise line, by theme, by location, by the time of the year and even a ship that you want to cruise with; Deluxe Cruises gives you the ultimate flexibility to find the perfect luxury Antarctica cruise that will be one of the best experiences of your life. To get on the experience of a lifetime, you can have a search through a large range of cruises on Deluxe Cruises. If you would like more information on a luxury Antarctica cruise, give us a call on 01202 767926 and one of our cruise specialists will be able to help you to ensure that you get on board the perfect cruise for you.